In the robotics industry, you might be surprised how often we run into situations where employers assume the safety features of a cobot make it capable of working alongside human employees in any and all processes and applications. Don’t get us wrong, cobots are some of the safest robots out there, but that doesn’t mean your overall system will be a safe one if you aren’t accounting for environment and logistical factors that can potentially pose hazards to your staff. Before purchasing a cobot, it’s important to learn about the capacity and limitations of your robot’s safety features to prevent risk of injury and a poor return on investment. Cobots are exceptional collaborators because of their ability to “learn” on the job, meaning they respond to their environment and can be taught different actions simply by adjusting their robotic arms along the desired track. This environmental responsiveness is developed through the use of sensors that can detect the nearness of human employees, allowing it to slow or stop its movements should anyone get in the way of a cobot’s task. These sensors are able to help prevent potential injuries caused by human hands or limbs coming in contact with fast-moving parts that are known to cause injury in situations where a robot is not capable of halting. Some cobots even possess a dynamic safety system, which allows a robot to change its programed path of movement should it sense a disruption without having to stop motion altogether. Cobots are also designed for light-manufacturing applications, and many come with power and force limiting features that prevent a cobot from completing unsafe tasks better suited to an industrial robot. All of these features together help guide employees collaborating with a robot away from unsafe usages and practices, while compensating for accidents or mistakes. However, there are still some ways for a human workforce to handicap the safety features of their cobot. Though cobots are designed to slow or stop should a human limb interrupt their path of motion, employers sometimes forget that it’s important to account for the kinds of parts or materials their cobot will be handling. When a cobot is operating with sharp edged materials or components in its grasp, the ability to stop or slow motion won’t always prevent an employee from getting cut or impaled should they cross into the path of the machine. Additionally, when the materials handled by the cobot are lengthy enough to extend significantly beyond the robotic arm itself, a cobot will not be able to stop in time before coming within striking distance of an employee. The sensors are designed to read the distance between the robot and humans in its environment and cannot extend to the parts it is handling. Another factor to consider is that not every cobot comes with power and force limiting capabilities as a standard feature, which could allow an employee to use a cobot for applications too heavy or too fast for its other safety features to compensate for. In those circumstances, employees could be at risk for serious and even fatal injury. Without fully investigating whether or not the cobot model you wish to purchase is best suited to your application, an employer is risking developing an inefficient processes at best and significant safety hazards at worst. In order to avoid these unfortunate scenarios, consulting with an engineering firm and a safety engineer about both the application and the desired technological upgrade is best practice, because no matter how smart our robots are, they cannot always account for every instance of human error. The great thing about cobots is that all of the potential mishaps previously mentioned are avoidable. When properly implemented, collaborative robots make excellent technological upgrades that can actually result in greater levels of efficiency than either humans or robots working alone. In addition, they protect staff from the kinds of repetitive movements and stressors that cause carpal tunnel and other musculoskeletal disorders, which are known to cost businesses hundreds of thousands of dollars per injury in both medical costs, insurance premium increases, and potential OSHA fines. 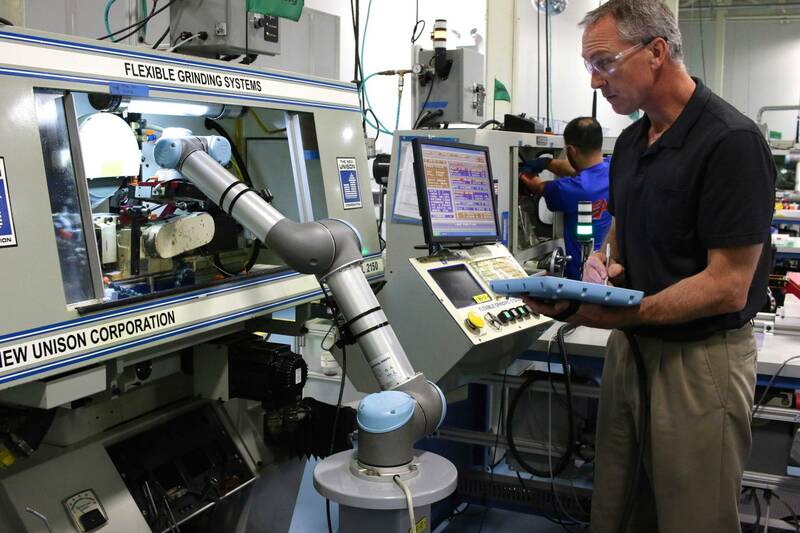 The key to avoiding the kinds of safety mishaps that can happen with cobots is proper education and staff training that an automation engineer can provide before you make a purchase. For more information on cobots and how to best implement them at your facility, connect with one of our automation experts through our Contact portal.